With new St John’s settling into its magnificent new building, the construction machine has started preparations for completing Treverlen Park. As happened with old Portobello High School, the area round the main school building is being readied for clearance. The final disconnections of services are underway and zones are marked on the former playgrounds for the various processes. We expect the first to go will be the aluminium former nursery, built in 1949. See our article explaining how the post war programme of aluminium buildings came about. That corner of the site will be centre of the Sustainable Urban Drainage System to prevent water draining off the site. It will be fed by “swales” or ditches which will run parallel to Hamilton Drive – already visible in the Phase I part of the Park behind new St John’s. The demolition should be straightforward – the main building is brick, with concrete facings and harling. 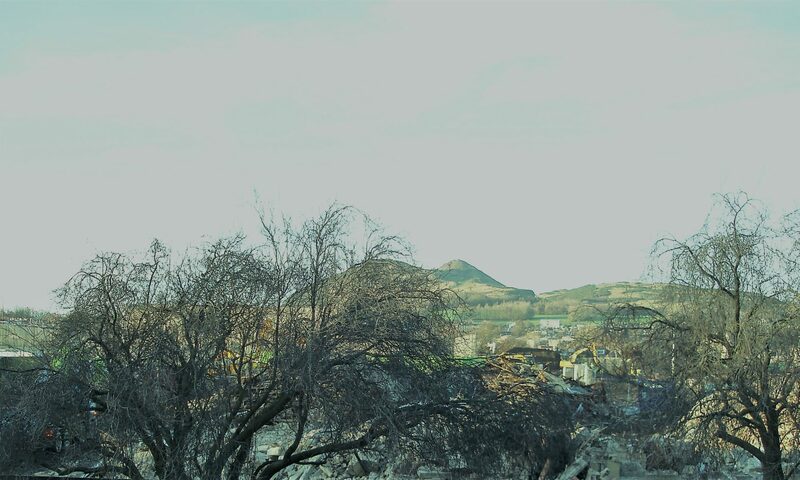 The existing entrance to the site from Duddingston Road will remain – giving access to the park site from behind old St John’s. Big changes to come in September. 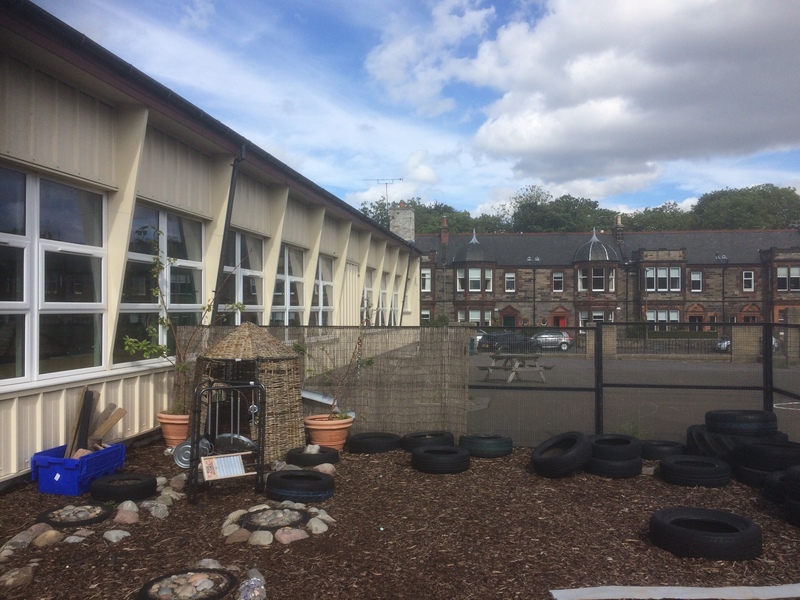 There is a lot going on at Treverlen – the Old Portobello High School has gone; the new St John’s Primary School opened on 20 August 2018, the old St John’s was demolished 17-18 December 2018 and the new Treverlen Park should open in 2019.